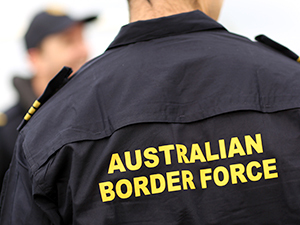 Last Friday, Australians got a taste of what the operational nature of the Prime Minister’s Border Force might look like. It began with a 9.16am press release that was issued featuring Don Smith, the Australian Border Force Regional commander for Victoria and Tasmania warning that “ABF officers will be speaking with any individual we cross paths with”. The purpose of such a seemingly dramatic exercise? Examining instances of visa fraud at the gates of one of Victoria’s busiest stations. The Gestapo-styled directive, given the absurd title of “Operation Fortitude” had an effect that surprised authorities, which should itself be a suitable gauge about how estranged this government has become from its citizens. Operating outside Melbourne’s busy Flinders Street station, the impression given was that there would be random checks of individuals in and around the vicinity. Originally, Operation Fortitude was intended to conduct what would have been spot checks of taxi driver licenses and visas. Someone had either bungled dramatically, or become a revisionist versed in the evils of totalitarian bureaucracy. At 1.46 pm that same Friday, the ABF would have to clarify that it “does not and will not stop people at random in the streets”. There would be no effort to purposely “check people’s papers”, something which they attributed to a media spin. An odd thing to say, given that the statement had been cleared by Mark Jeffries, the assistant secretary for communications and the media for the ABF. In any case, the distancing from other features of the execution has been palpable, with the immigration office claiming that ministers do not have a hand in directing operational matters. This may, on the surface, look innocuous. But is a direct admission to an institutionalised role that conjures up images of uniformed men and women treating their quarry, not as citizens, but subjects who need to be found out. This activity takes place out of the view of the minister, who has his hands at the wheel while refusing to direct the vehicle. In the apt words of barrister Charles Waterston, this was to be “the perfect storm for perfect storm troopers.” There would be a seamless operation involving the Metro Train operators, the Yarra Train heavies and those of the Taxi Services Commission. That said, spot checks on visas are not unusual, though the nature of this operation, with its pugnacious, state mandated thuggery, was. The previous Labor government conducted scores of such checks when he was Immigration Minister, ostensibly on the grounds of protecting the welfare of foreign workers. Not that Labor can aspire to the nobility of this higher cause either. The Migration Act itself also vests immigration officers with powers to require a person “whom the officer knows or reasonably suspects is a non-citizen” to present evidence of citizenship status or identity. Protocols governing such inspections tend to be linked with police operations, but the ABF remains virginal in many respects. The only salvaging grace in this was that the incompetence, and public reaction to it, were formidable enough to spark a reversal. Incompetence is one of those gifts from the heavens that scuttles venal operations, leading to their executor’s downfall and eventual abolition. Liberties depend on upon it, and refugees are only one part of that dire equation.